On behalf of PATRIZIA Immobilien AG, the global partner for pan-European real estate investment, Turley has helped secure planning permission for the new ‘Edgbaston Residences’ build-to-rent (BTR) scheme with a GDV of £85 million in a core residential area of Birmingham. We advised on planning, heritage, strategic communications, sustainability and development viability aspects of the single-property scheme which will comprise 375 high-quality apartments while offering approximately 20,000 sq ft of retail and leisure space on the ground floor. Construction is expected to complete in 2022. The UK residential sector is experiencing an acute shortage of quality housing, with delivery of new housing well below the government’s target of delivering 300,000 units per annum. Rental properties are one of the solutions to resolve the housing shortage, which is where investment managers such as PATRIZIA can play a key role. Edgbaston Residences is therefore a positive milestone in PATRIZIA’s ambition to expand its residential investment across the UK and Ireland. 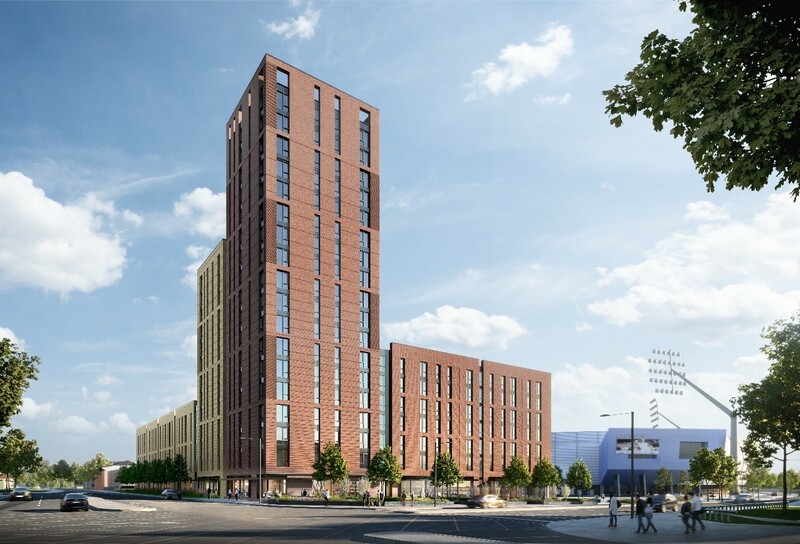 “This new development will address Birmingham’s urgent need for first-rate rental accommodation whilst also providing an attractive offer for local residents, as well as for those visiting Edgbaston Stadium. This also follows the recent completion of Forum, our first BTR development in Birmingham, which is already close to full occupancy. “By delivering new apartments and commercial opportunities for cafes and restaurants, this development project will transform the area around Edgbaston Stadium and make it a destination for people to visit 365 days each year. “Homes England has ambitions to increase the pace, scale and quality of housing delivery across the country and our partnership work with PATRIZIA and Warwickshire County Cricket Club is an example of this.